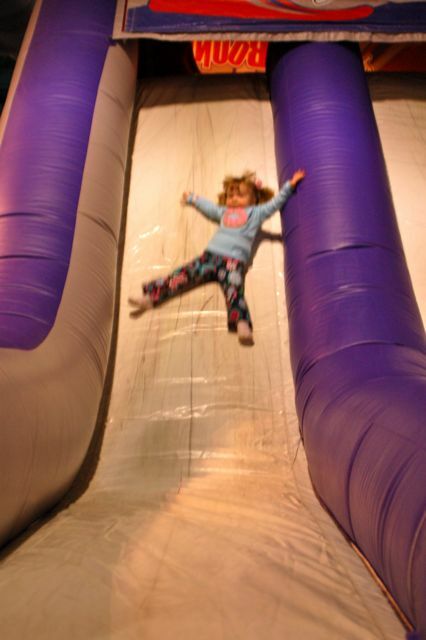 My Wordless Wednesday photo was of my sweet baby girl flying down an inflatable slide. For Colin's 9th birthday, we went to BounceU. She had an absolute blast and was climbing and sliding and bouncing like kids three times her age! She is a fearless child, who charges ahead and rarely looks back. She is the most independent of my three, and has a take charge attitude that will likely take her far in life. It's an inspiration to watch her fearlessly face life every day. Did you play Wordless Wednesday? Don't forget to tell your story at Tell Me Thursday!